How to Get Started at Wootpedia: The Video Game Event Encyclopedia! Pros of being a gamer. Content here is licensed under a Creative Commons License. When planning out your LAN party, the first things you'll need to consider are your target size and capacity limitations. Power issues weren't such a big deal back in the glory days of 1999 during the era of Quake 1 and Brood War. You could easily put 8 gaming computers on a common 15 AMP household circuit. Nowadays with 1000 Watt power supplies and SLI, this number goes down to 4 computers as an absolute maximum. There are also a number of important safety issues when it comes to handling so much power, these issues are detailed later on in the power guide. One of many factors can completely rule out a location in consideration: rental cost (if any), power capacity, space, environmental controls, etc. We go into a lot of detail later on in the location guide. Networking is becoming a smaller and smaller issue as we pass into the future. Inexpensive gigabit networking and powerful switches are common place. With smaller LAN parties, networking issues are nearly non-existent, but can still become an issue to look out for if you're hosting over 40 guests. House LAN Party (2-16 guests). Your basic get-together with friends. Start out with one of these if you've never hosted a LAN party before. This guide will cover everything you need and more in order to host a great one! Technically house LAN parties can be larger than 16 guests, however you may begin to run into power-related issues with more guests unless you plan accordingly. Small Public LAN Party (16-40 guests). This is your basic public LAN party. You'll want to host at least one of these first before going any bigger. Most issues you'll run into will be covered in this wiki. Power tip: This will be the first time that basic power issues can become a problem unless thoroughly planned. Promotional tip: It is recommended that events of this size are announced at least 2 months in advance for a first event in order to spread the word. Your friends can serve as your "core attendees" until your event grows. Medium Public LAN Party (40-80 guests). 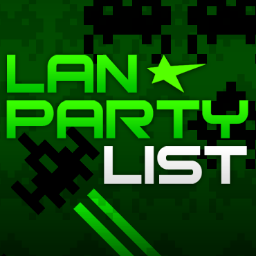 It is highly recommended that you've hosted a few medium sized LANs before going any larger than 40 guests. We recommend having a website, and a guest waiver. Power tip: Power issues can become overwhelming unless thoroughly planned. You may need a dedicated electrician. Promotional tip: We highly recommend that you announce your event 4 months in advance for a first event. You may want a dedicated promotional person. Big Public LAN Party (Over 80 guests). The technical issues related to an event of this size can be out of the scope of this wiki. Do not attempt to host an event of this size without having a few smaller public events under your belt first! Organization will get insane and you will want a small group of staff to back you up. You'll want a dedicated website, a guest waiver, and possibly some event insurance. Power tip: You will need to befriend or hire an electrician to sort out your power issues. You may need a networking guru as well. Promotional tip: It is recommended that events of this size are announced at least 6 months in advance for a first event in order to spread the word. You will want a dedicated promotional person, especially if you are dealing with many sponsors. Next Guide: Finding a location.